Until September 2010 I have ringed 85 Lesser Black-backed Gulls. Most of these were captured by hand on the ferry from Den Helder to Texel in the context of research on the occurrence of avian influenza. In the city of Groningen some Lesser Black-backed Gulls were colour ringed with a white colour ring around the tibia. This in order to monitor the duration of stay in the city. Codes used are A+, C+, E+, H+ and T+. The administration of these colour rings around the tibia is done by E-mail: . More info see: http://buijsecoconsult.blogspot.com. White C+ was ringed as an adult on July 2nd in the city of Groningen and was read by John Sanders at the refuse tip in Gloucester ENGLAND. 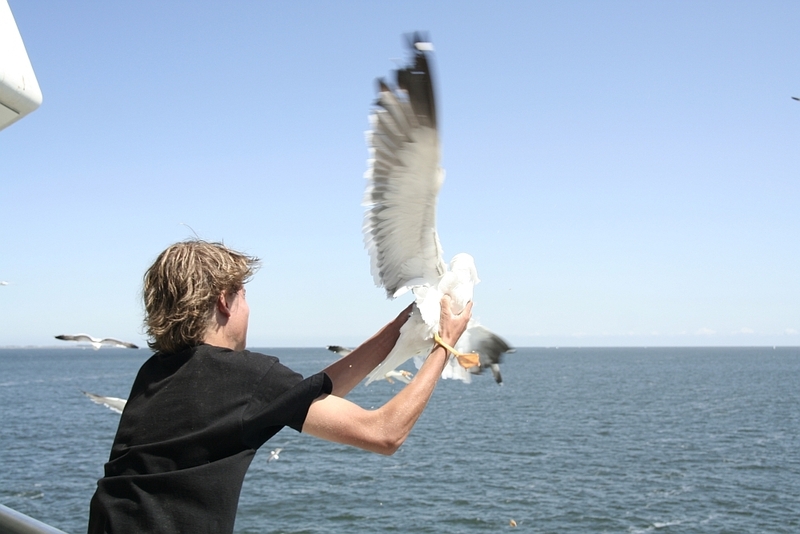 In addition in the city of Groningen most likely a Baltic Lesser Black-backed Gull (Baltic L. f. fuscus) was captured and colour ringed with white EY63. This bird was a first calender year and remarkably small and dark.